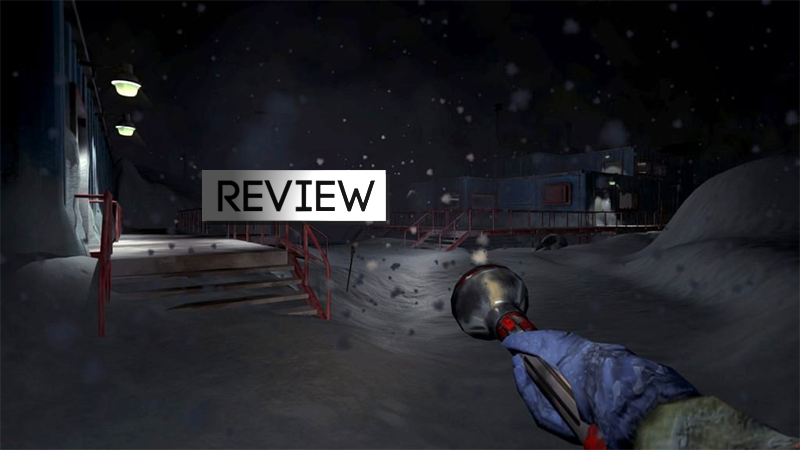 There are no monsters in Near Death, a new video game about escaping an otherwise abandoned, wrecked and unbearably cold Antarctic research station. There are no bad guys at all. There is just the menace of weather: sub-zero temperatures that make it fatal to be outside for more than a couple of minutes, howling winds that slow or block any desperate dashes toward warmth, and an unrelenting darkness that gets a survivor lost. Near Death is a simple game. It’s played in first person. You’re a pilot whose plane has crashed at Sutro Station somewhere at the bottom of the world. You can walk, run, pick things up, craft and use items, and check a map. Unlike many popular survival games, though, there are no stats. There’s no hunger meter or sleep gauge. There’s a laid out sequence of challenges set across a hand-crafted landscape that the game’s designers want you to experience and learn how to overcome. There’s a beginning to Near Death, a middle and an end. At first, the game seems too basic. Sutro Station is just snow and hills and a bunch of structures made of rectangular metal boxes. You have a flashlight and little to do but walk from one place to the next. Early on, you enter the comms station, radio back for help and easily scavenge some wires and duct tape. Soon you’re in a power facility repairing a generator and checking a map. The map shows a fuel station, a science station, a water station and some smaller structures that might be shacks. You can safely assume you’ll go to each of them at some point. There’s nothing complicated, it seems, just a lot of walking in the dark, a lot of swift steps into each facility to escape from the cold. Subtly, the game becomes more complex. You learn how fragile you are and how much work it’ll be to get anywhere. You learn to patch broken windows and seal rooms so they generate heat. You learn to listen to your character’s breathing to determine how close she is to freezing and learn the various hums a building makes if it’s coursing with electricity or heat. You learn how to set up sources of light as you establish optimal paths from one structure to another. The wind picks up mid-game. Walking around becomes much more difficult. Near Death’s designers give you an unexpected tool for dealing with that. In the game’s first hour, you just do what the game tells you to do. By halfway, you’re having to study your map, think about the tools you have and strategize how to achieve your next goal. Not a great idea to set up a portable heater without patching the window first. Might want to get the snow off that desk, too, so you can see if there’s any duct tape or wiring inside. Near Death is a short game that can be wrapped up in four or five hours, and it’s the work primarily of just two full-time designers at Orthogonal Games and an artist, with some contracted help at the end. The smallness of the whole affair (including the $15 price tag) forgives the crudeness of the graphics, which are functional as opposed to fantastic. Everything is simply drawn, depicted well enough that you can distinguish a desk from which you can scavenge items from a table from which you cannot. As long as you can spot the difference between a door blocked with snow from one you can open, the graphics are good enough for you, and you’ll be fine. The game falters, odd as this is to say, only when it asks you to jump. On rare occasion, you’ll be expected to run and leap. Doing that in a first-person game rarely feels good and works poorly in a game like this that has few animation cues to guide you. Near Death asks you to leap so infrequently that you’ll feel untrained for the task. Then again, maybe that’s intentional. Near Death might be classified as the latest of the “lonely games,” an unofficial but surging genre that feature the player’s character in a world largely devoid of anyone else. These games are made by smaller indie studios who likely don’t have the resources, if not the interest, in putting multiple characters in a 3D world. They place us as a person in an empty land: perhaps as a wanderer after an apocalypse in The Chinese Room’s Everybody’s Gone to the Rapture or as a person wandering through the house where she grew up in Fullbright’s Gone Home. They turn us into the only astronaut left breathing in a shattered space station in Three One Zero’s Adr1ft or as a lonely forest ranger in Campo Santo’s Firewatch. Of those games, Near Death is the most quiet and most active. There isn’t much story to read or listen to, but there is a lot to do. Other “lonely games” can feel like delivery mechanisms for nonlinear narrative, games in which the point of moving from place to place is to experience a new drop of story. Near Death is more consistently focused on the interactivity of doing things. In that way, it is more akin to dialogue-light survival movies like the desperate one-man high seas sailboat disaster movie All Is Lost or the one-challenge-after-another problem-solving depicted in The Martian. The story is less about what anyone says but about what happens to you and what you do about it. The narrow focus of Near Death is appealing. Its designers succeed in presenting a refreshingly simple game about a straightforward struggle to live. They simply pit you against the cold, and they have erected an arduous and interesting interactive obstacle course you must overcome to survive.